Rocker Marilyn Manson had to cut short a New York City show Saturday night after he was crushed by a falling set piece. A representative for the singer confirmed to The Associated Press that Manson, 48, was injured and taken to a local hospital. The extent of his injuries was unknown, but the show was immediately cut short. Video shot by concertgoers showed Manson climbing onto the prop of two giant handguns, which tipped backwards and fell on top of him. Another video showed the stage crew and his band members immediately rush to lift the prop off of him. Manson was performing a cover of the Eurythmics‘ “Sweet Dreams (Are Made of This)” at the time of the accident. Friday’s show was on just the third night of his 41-show “Heaven Upside Down” world tour. He’s currently promoting his new album by the same name due out Oct. 6. 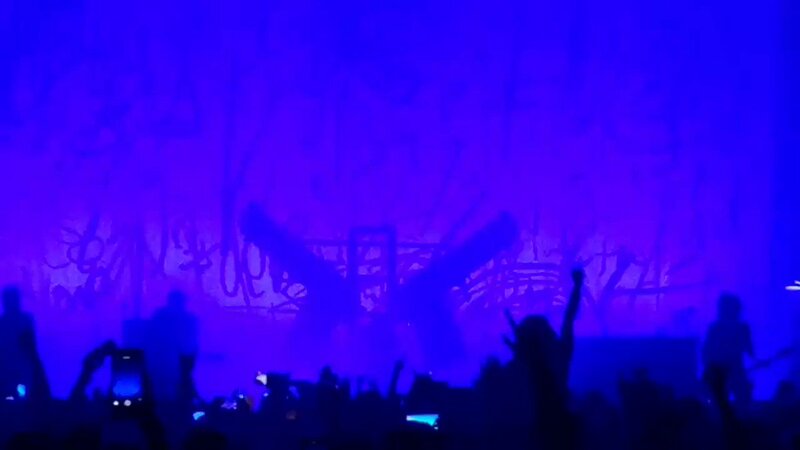 Marilyn Manson injured by falling prop at NYC show 0 out of 5 based on 0 ratings. 0 user reviews.